ERS Enrollment Employee Retirement System membership enrollment form. D-60 Salary Assignment/Cancellation Form (for direct deposits only) and Instructions. New hires, whether a U.S. citizen or noncitizen must provide UNEXPIRED documents for I-9 verification of identity and employment authorization. Please refer to the I-9 instructions, pages 8-11, for a complete listing of acceptable documents. New hires must have TB Clearance. 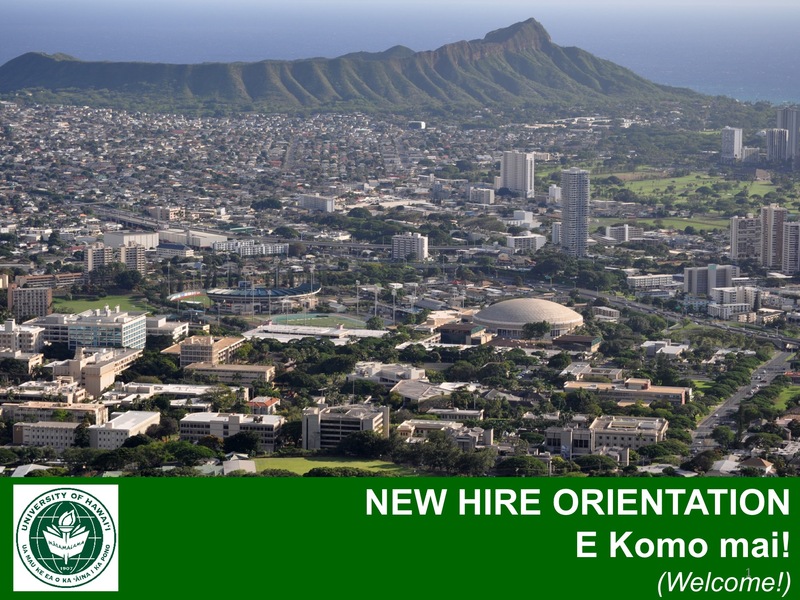 Click on above image to see PDF of the Mānoa Human Resources New Hire Orientation presentation.